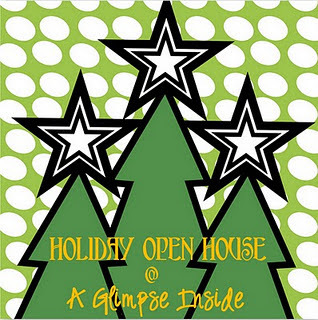 Welcome to the last week of the Holiday Open House! 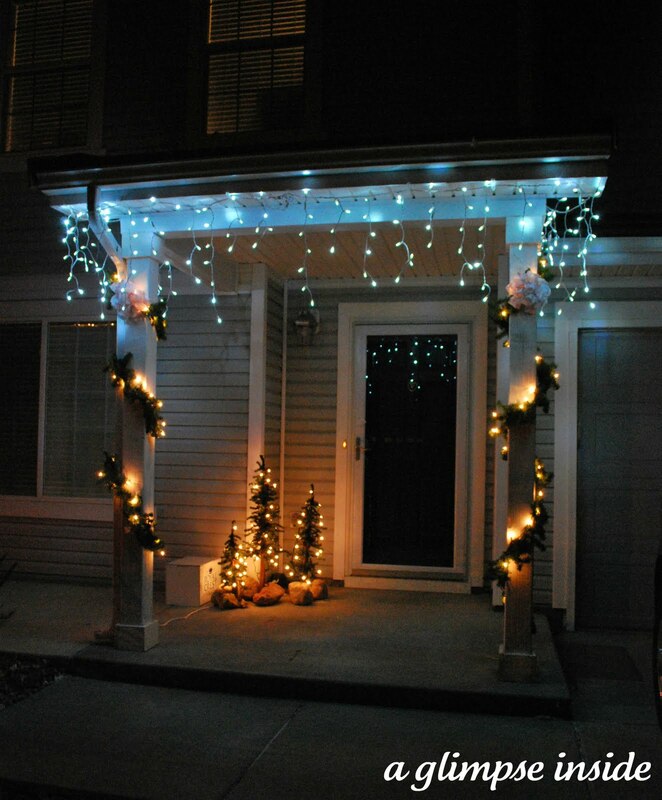 This week you can show off your Outdoor decor and lights! 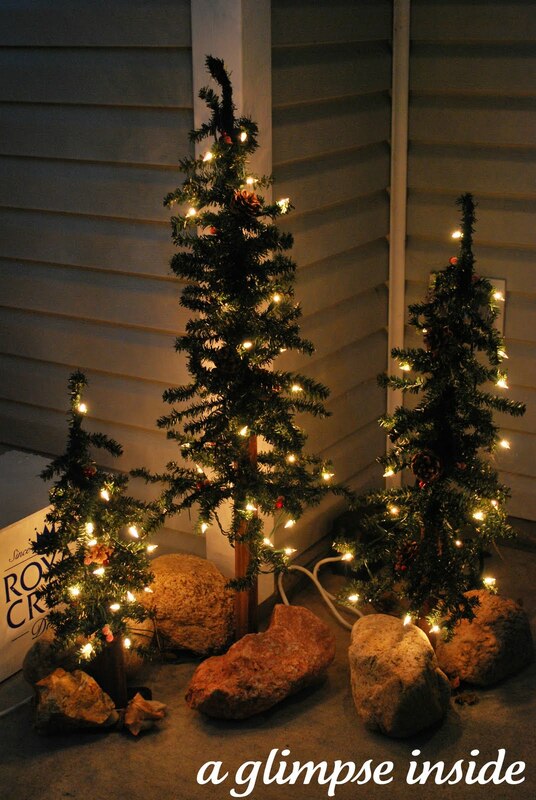 PLEASE ONLY LINK UP YOUR HOLIDAY DECORATIONS! This party is NOT for tutorials!! I don't have too many outdoor pics to share. Ok, only 3. 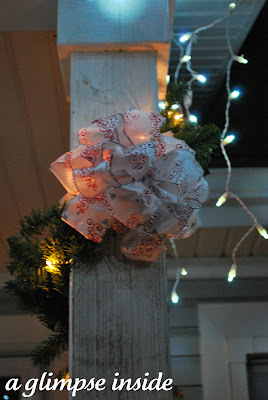 We only decorated our porch this year since it was our first year in the house and we've been working inside so much. But here is what we did! 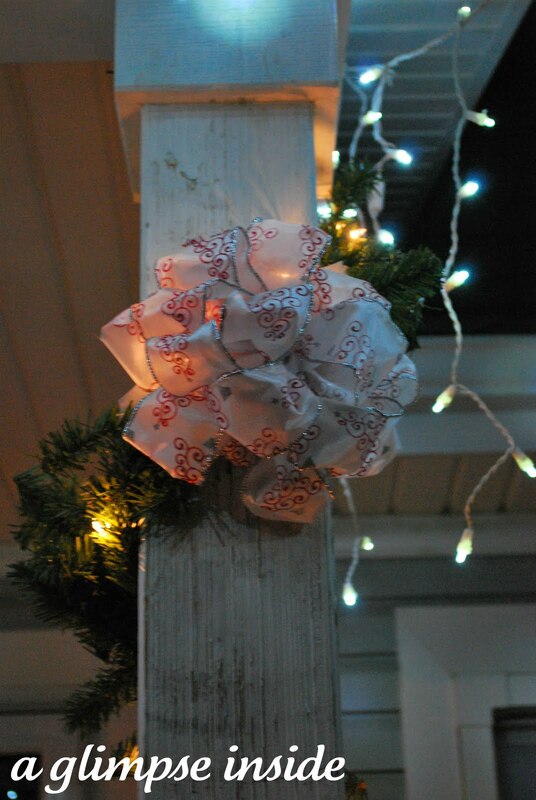 Here is an up close shot of the bows. And here is our little tree grouping. We had to use some big rocks to weight them down with the crazy winds we have here but it made it look a little mountainy so it was cute! Now I want to see how you decorated your houses! 1.) 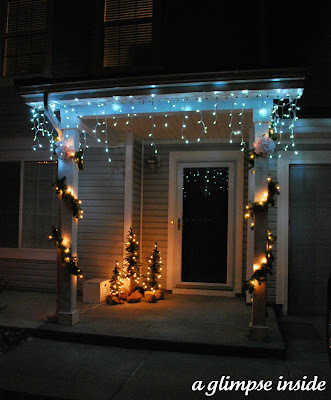 Your post must be of your Holiday Decorations not of a tutorial. 2.) Link up to a specific post not your blog in general. I love your outside decorations! I love the color of the LED lights. I wish we had a covered porch so I could use them. Maybe we'll add one in the future. The lights are just beautiful. Thanks for hosting this awesome party! Thank you so much for hosting! :) Happy holidays!